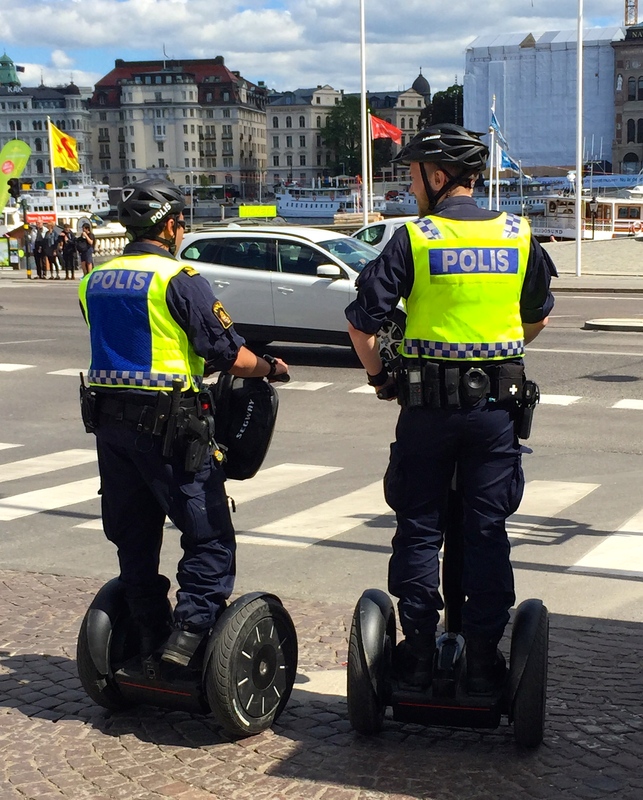 One of the best things about living in Helsinki is its proximity to the rest of Europe. 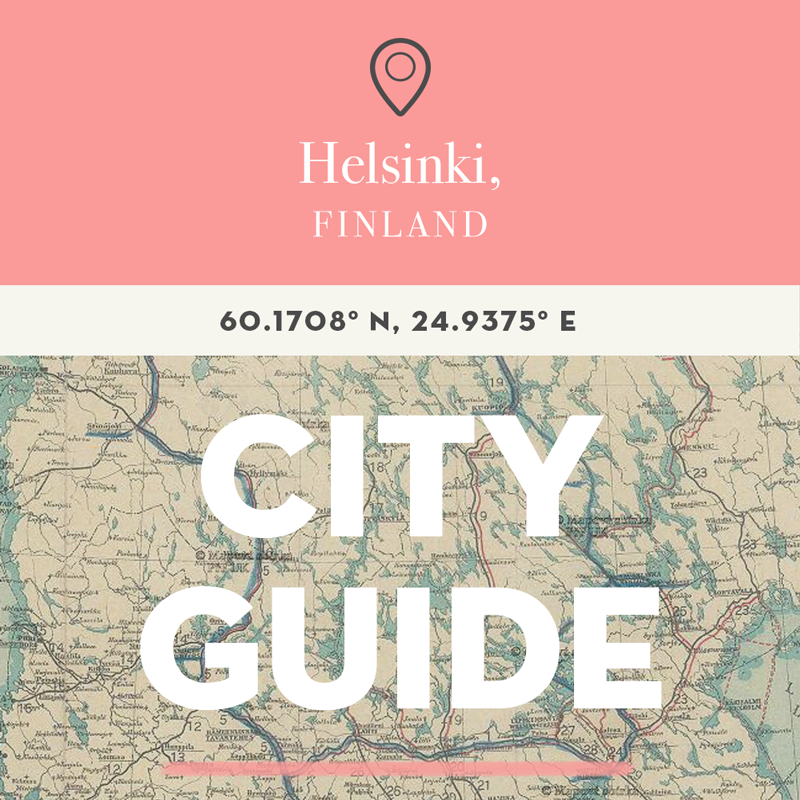 While Finns say they feel fairly remote, for those of us facing a 26-hour flight home, anything less is a breeze. During the summer months you also have the option of visiting neighbouring countries by boat. By boat, I mean passenger ferries, built to accommodate you and 3000 of your favourite strangers. With my parents visiting we decided to do the ferry trip to Stockholm, which we’ve been told, pretty much makes us Finnish. 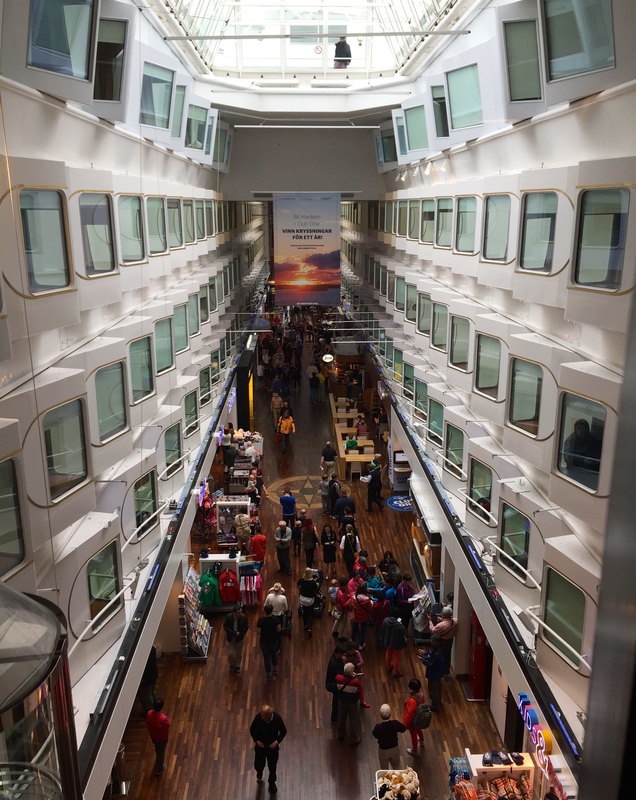 We travelled on the Silja Serenade and were welcomed on board by Moomin, musicians and circus performers. The big promenade down the centre of the boat makes orientation really easy. 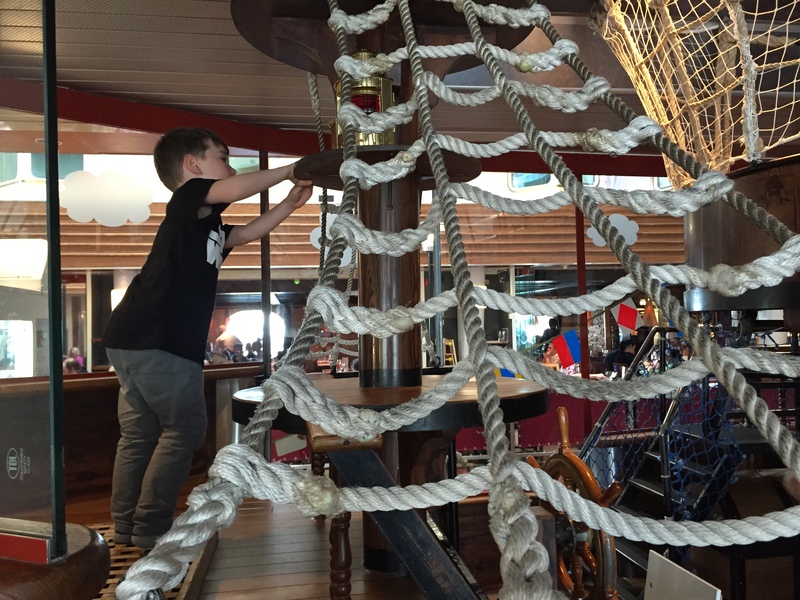 As well as bars and restaurants, there’s a big play area for children. I sat in there for two hours while Miko played and recommend taking a book, as you need to stay in the area but not really watch your child the whole time. 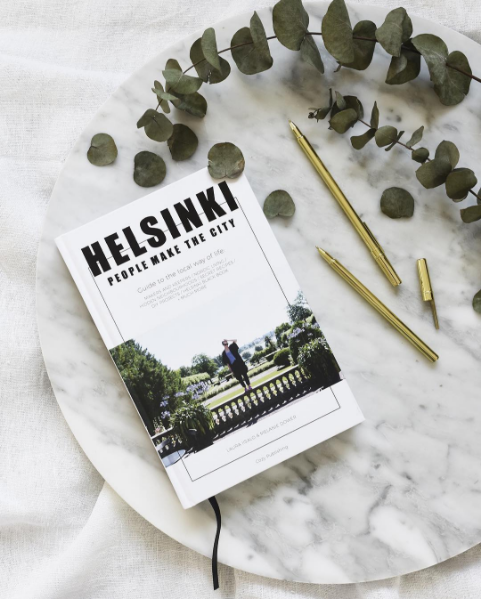 (Magazines in Finnish are provided). To travel, you pay one ticket price, that covers the fare and accommodation for all those sleeping in your cabin. 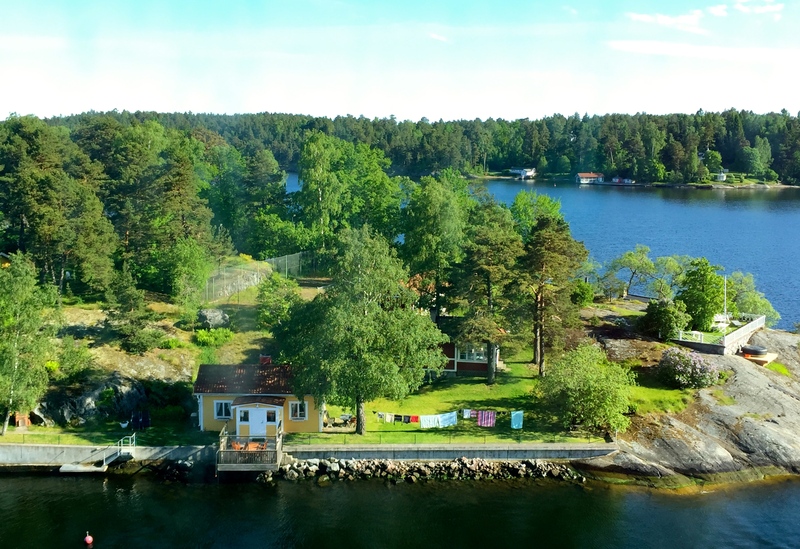 A cabin with a window costs more, but with the Nordic summer sun visible for nearly 24 hours these days, you may not miss having one. 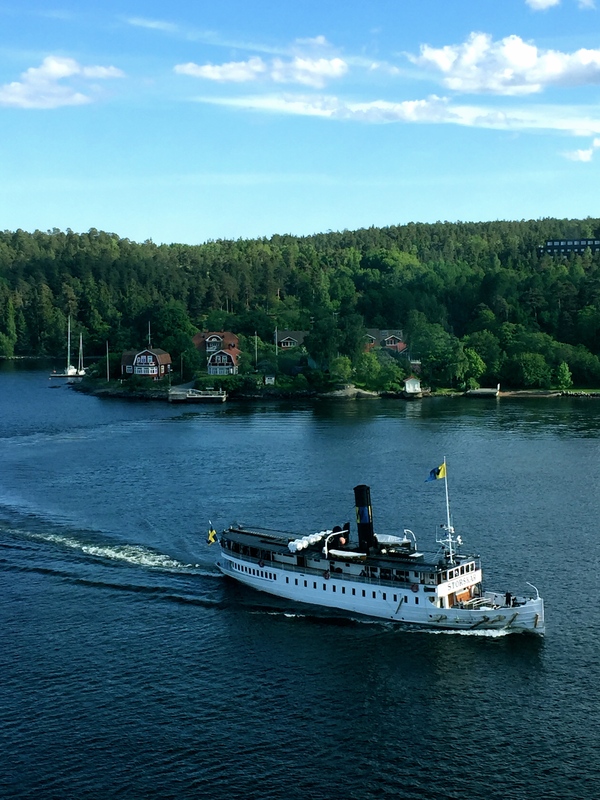 One of the best things about the trip, that I hadn’t anticipated, was the beautiful views as we drew nearer to Stockholm. 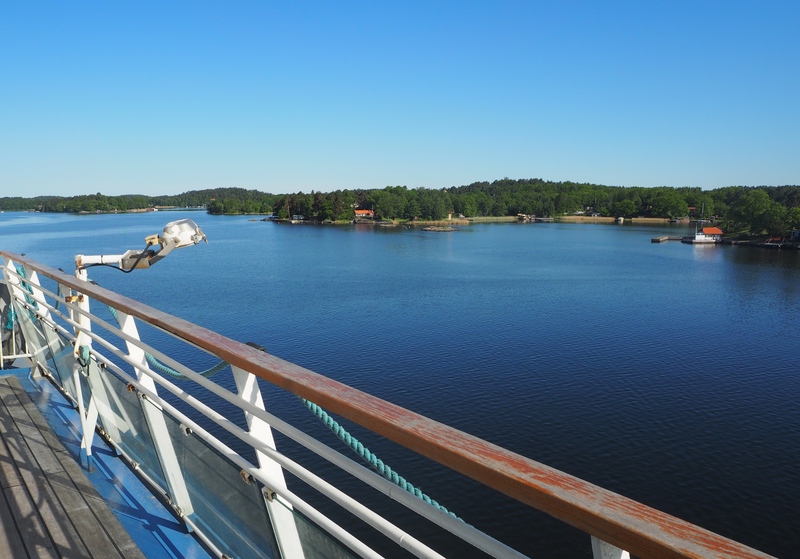 We had a bird’s eye view of the archipelago as we cruised slowly by, fascinated by the remotely set houses and saunas. Stockholm is a city set over 14 islands, connected by bridges. 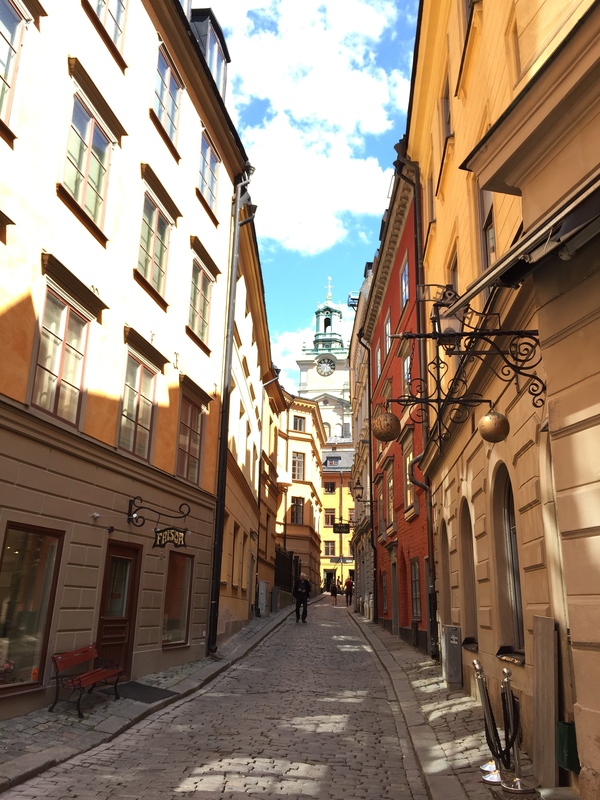 Once docked, we headed into Gamla Stan (Old Town), via bus. We passed by beautiful parks full of beautiful Swedish people, before reaching the Royal Palace. 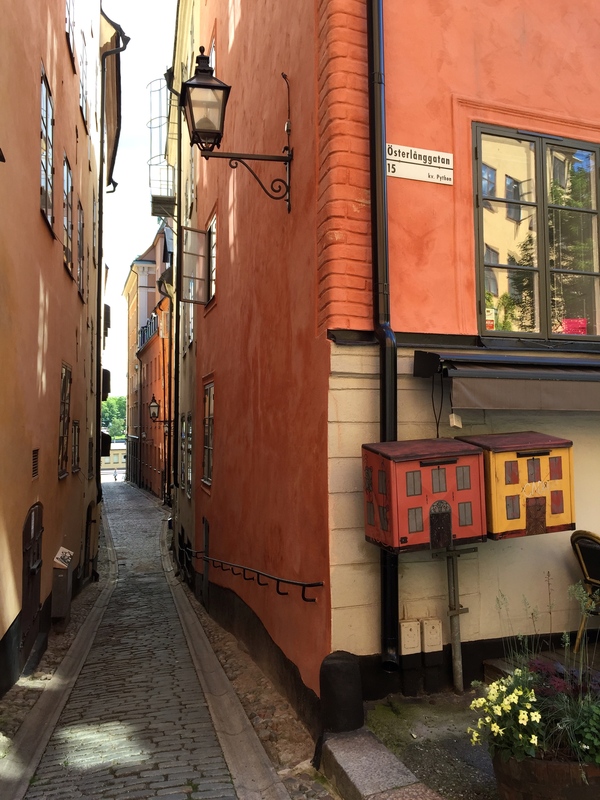 Gamla Stan is full of little streets to lose yourself in, with stores selling books, shoes, waffles and ice cream. We use the Foursquare app for recommendations on where to eat and were not disappointed with the lunch we had at Under Kastanjen. 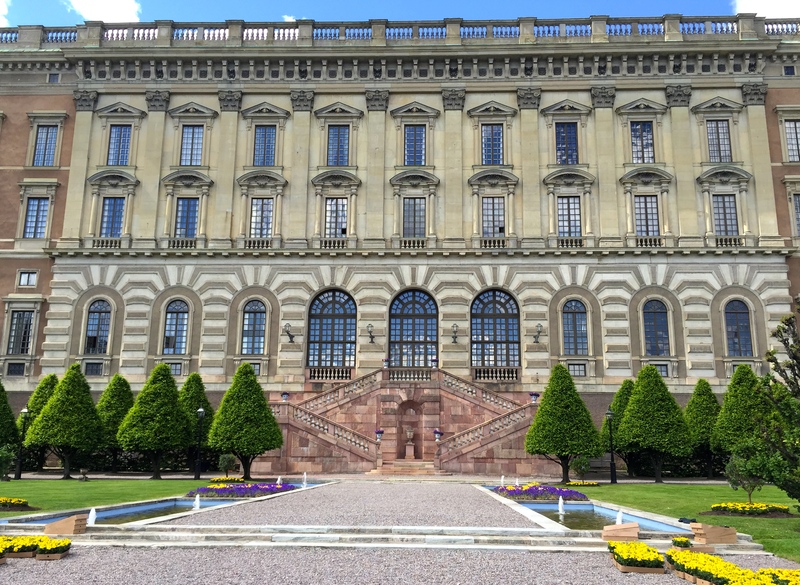 After an ice cream in the sun, we headed to the Nobel Museum, leaving Mum & Dad to tour through while we had a drink and people-watched in the Old Town Square. Later, on board the boat, we got a window seat and enjoyed drinks and the view, which once again was absolutely captivating. 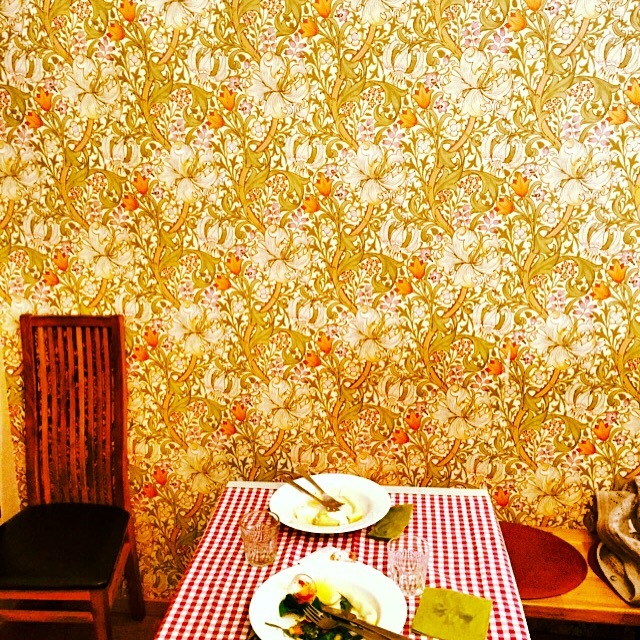 By the time we arrived back in Helsinki the next morning we agreed – we all had a case of Stockholm Syndrome. 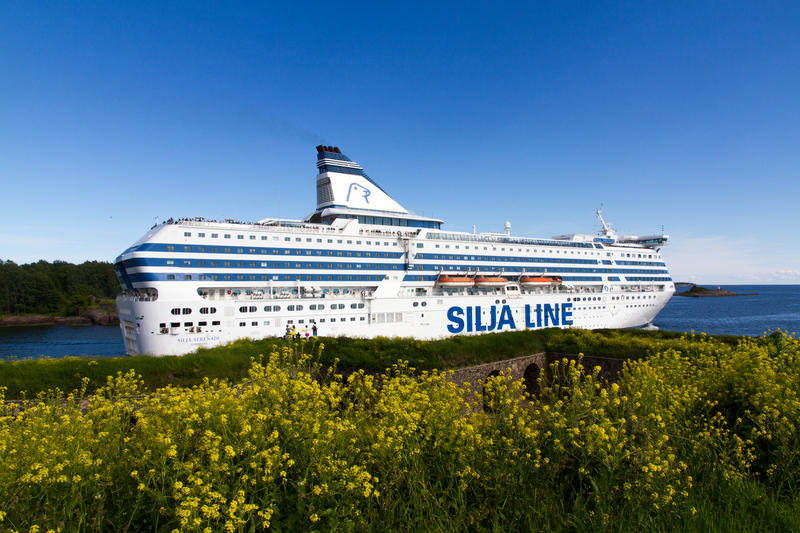 Silja Line ferries dock a bit further out of town. Allow 20-30 mins for the bus into town, which is very easy to catch. We did this a few years ago and it was great. 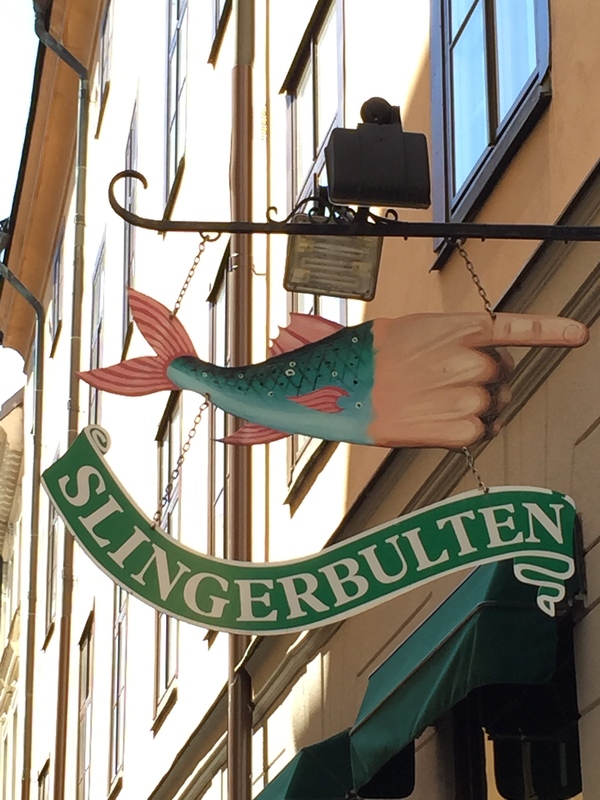 We stayed a night in Stockholm, thereby getting 2 full days in lovely Stockholm. I would happily go again. Me too, there’s so much more to see and it’s so easy to get around. 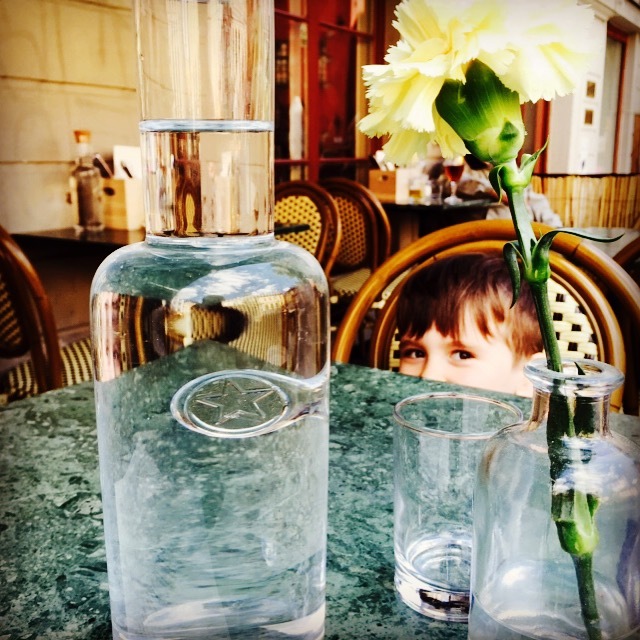 We were in Stockholm just last month (& blogged about it) but we travelled by air! Lovely city! 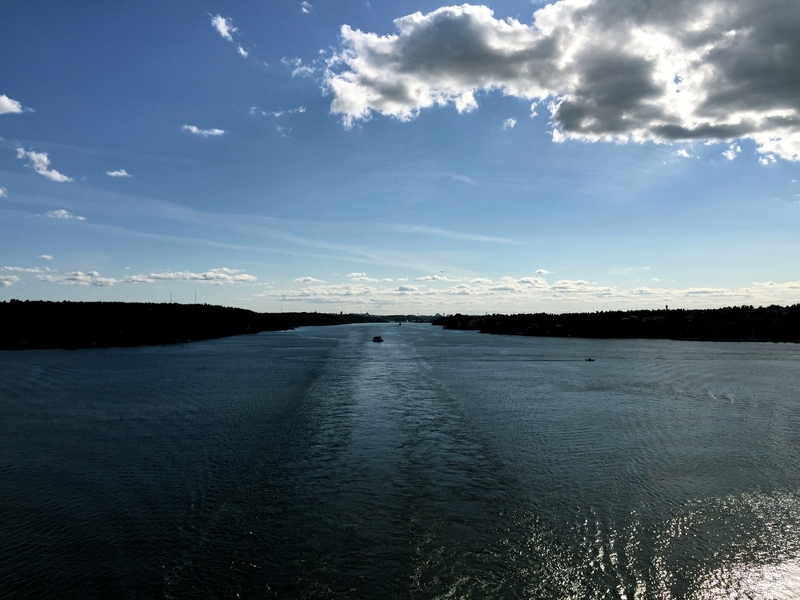 Just booked my ferry from Stockholm to Helsinki… Crazy that it’s cheaper to book a return cruise then a one way ticket (around 55€ difference! )… But don’t want to risk any border issues in Helsinki so gone for a little private one-way cabin! Looks beautiful… Can’t wait to take it all the scenery! You’ll love it! I know what you mean about the price. The first time I booked a cabin on a boat I wondered where the ticket price was, without realising the cheap price included the ticket and the cabin. ; ) Put me in your phone before you leave – if you have any border issues, I’ll come get you! 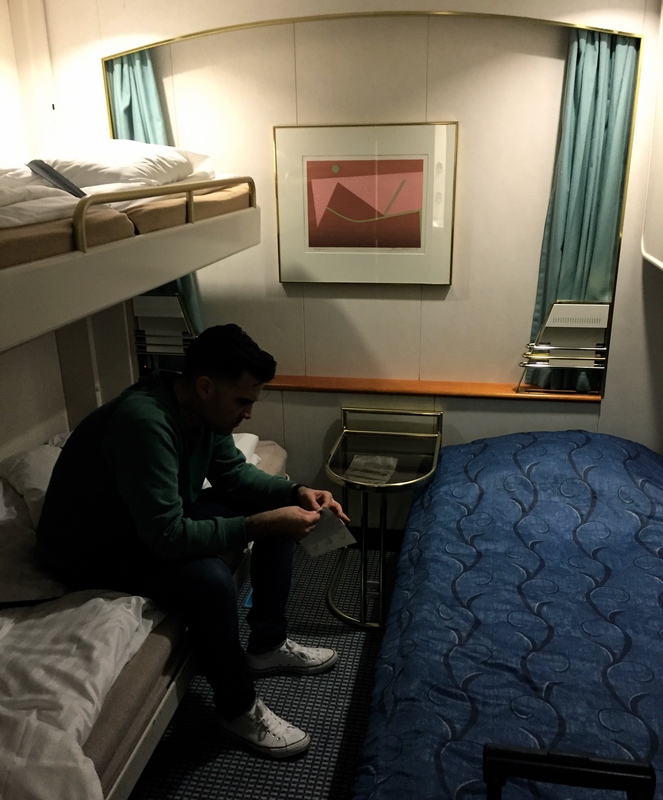 Some ferries at least used to have the option of not getting a cabin but instead a “deck chair” – basically a comfortable chair in a common, dimly-lit room for you to sleep in. Great post! I did this trip in the middle of winter a couple of years back. It was great and really beautiful leaving Helsinki by crashing through the ice as the sun was setting. Wow, I didn’t know if the ferries ran during winter or not. It must have been spectacular! You tell real dreams 😍!